In June I picked up the American Express Gold Card with no annual fee due to my active duty military service. This card easily upgrade to an additional American Express Platinum card. Learn more about the AMEX Gold Card and the AMEX active duty military fee waiver. At first glance this card does not seem that special. The spending category bonuses aren't great, the welcome bonus could be higher, and the benefits are not as extensive as the AMEX Platinum. Membership Rewards are one of two of the most flexible credit card reward systems. Other than Chase Ultimate Rewards points, Membership Rewards allows the most valuable transfers to airline and hotel partners. This allows you to book awesome business and first class tickets on great airlines. You can also use the points for Amazon purchases, booking travel through AMEX's portal, and buying gift cards. Usually though, you should save your points up for a transfer to a travel partner for the most valuable redemptions. MR points are frequently valued at 1.5-2.5 cents per point or 100 points = $1.50-2.50. This is an awesome benefit. You can get 4 Membership Reward points for every dollar spent at US restaurants and US grocery stores. DECA Commissaries OCONUS should still qualify for the “US” grocery store category, because of the way they process credit card transactions. The 4X points at restaurants is great when you are in the States. If you're travelling internationally it's better to use the Chase Sapphire Reserve and receive 3X Ultimate Rewards. The CSR recently updated it's military policy and now has no annual fee for military members and spouses. Similar to the $200 airline credit offered on the AMEX Platinum, this card offers a $100 airline credit. The fine print says it's not good for airline gift cards, but check the FlyerTalk forums and Reddit for data points. Many cardholders report airline gift cards ARE reimbursed by a statement credit within 3-4 days after purchasing the gift card. This is my experience as well. This year I purchased an American Airlines gift card on July 2 and received reimbursement on July 7. Combined with a few AMEX Platinum card airline credits, you could rack up a significant number of gift cards on a single airline. The best part of the Gold Card is one year after you open the account you are eligible to upgrade to the American Express Platinum card. This is true even if you already have another AMEX Platinum. 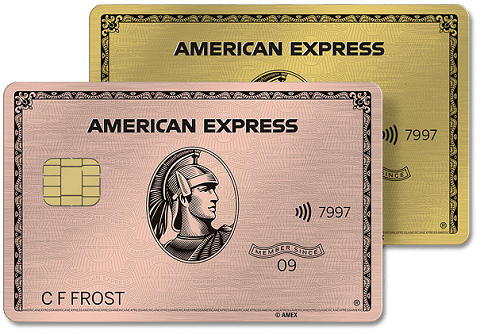 As long as you keep the Gold Card on a separate login for your AMEX online account, you should be offered the upgrade link online. Even if you added the card to your current login on AMEX, you can drop the card from your login and create a new login to manage the card. As long as the AMEX online account doesn't have another Platinum card attached to it, you should be able to upgrade your card. This is an awesome way to add more AMEX Platinum cards to your inventory. Since military servicemembers pay no annual fees on AMEX cards, you can stack all the benefits on the AMEX Platinum. Let's say you and your spouse each have a “vanilla” (regular) AMEX Platinum, a Schwab Platinum, and an upgraded AMEX Gold Card to Platinum. That's six AMEX Platinum cards with no annual fees, saving you $3300 in annual fees. You'll also get all the welcome bonuses for these six cards as you build your Platinum Portfolio, which could be worth 300,000+ MR points. This is free money you're leaving on the table by not building your Platinum card collection as a military member. Start building your collection today with the American Express Gold Card and pick up the easy welcome bonus now. Then, after a year upgrade the card to a Platinum and reap the Platinum benefits. If you have upgraded your Gold Card to a Platinum, let me know in the comments! Marcus upgraded his Gold Card and described how easy it was in the comments below. 1a. 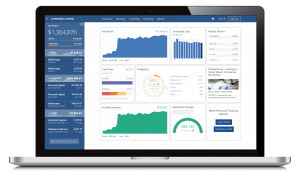 I owns a business, can I get the Amex Plat Biz AF waived as a military spouse? 2. She applied for Personal Plat 60k and was accepted, will follow steps to waive AF. 3. She just upgraded her Amex Gold to Amex Plat. There are no “welcome” benefits, right? Just the yearly credits, no AF, etc. 1a. Yes, if you’re in a common property state. Otherwise you’ll need to add your wife as an authorized user to the card to get your annual fees waived. 3. Usually no welcome offer just annual benefits like you said. There will be a clear welcome bonus offer before you upgrade. Usually on lower tier hotel (SPG or Hilton) or other cobranded cards. Yes. The PRG just added a bunch of new benefits including 4% on restaurants and grocery stores. Huge. I probably won’t convert it to a Plat now. You could convert to Plat and pickup a new PRG (name changing to American Express Gold Card). That’s what I’m going to do. Especially since the card is rumored to have 4% back on restaurant purchases. Marcus, thanks for the reply. If you are not prompted when opening the new login to upgrade the PRG to Plat, where do you find it on the AMEX site? Also, please let us know how this SCRA claim that was submitted to AMEX two weeks ago turns out. To be honest I don’t remember if it says it on the side of the account home page or if I had to go to credit offers to get the updgrade. Either way I know you can always call in to upgrade to the Platinum. If you call make sure to ask if you can get a bonus introductory offer as those show up every once in awhile. So as an update I just checked my Platinum and I was charged an additional membership renewal fee of $504.16 and then reimbursed $178. I don’t know exactly what’s going on. My SCRA request is still in progress, so I am tempted to wait and see if they are still figuring it out, but if my fees aren’t reimbursed within the next 1.5 weeks I’ll probably try and call to get it figured out. I finally had my SCRA go through for my new Plat but it took an extra 2 days for me to get reimbursed for all the annual fees. However, now they have overcompensated me by about $175 and I’m sitting at a $338 balance on my card. I also saw a data point the other day about someone getting a replacement PRG for the one they converted to a Platinum and so I decided to go for it and was accepted. It wouldn’t allow me to add it to my login that had the Ameriprise PRG so I just created a separate account for it. Great to hear, thanks Marcus. All data points suggest that you can remove, add to new login, upgrade to Platinum, and add to Uber for credits. Also you get airline fee credits as well, as it is a full up Platinum card. I don’t think you need to keep the PRG-now-Platinum on separate logins after upgrading, but I would be interested in Marcus’s experience as well. So my card still says that I need to “enroll with Uber” but when I added the card to my Uber account it gave me the credits. I think I missed July since the credits come out at the beginning of the month. But yes I followed all the same steps you mentioned above. Though I don’t remember if it prompted me to upgrade to the Plat or if I had to search for the link. Everything has worked well though. I already got my $200 Southwest gift card reimbursed to my account as well as my Saks $50 credit for this half of the year. The only strange thing was about 3 weeks ago I was charged the PRG annual fee. I had applied my SCRA benefits to my card when it was a PRG and I guess it got taken off the card? I submitted my claim for SCRA benefits on the Plat version 2 weeks ago and the claim is still in progress. I feel like it is taking a little longer than usual, but we’ll see. Well, it worked. The application immediately said I was approved and would receive a card in 7 – 10 days. It took about 12 hours for my account to show that it had changed to a Platinum and a couple hours longer for the Shops Saks and Airline credit to become available for enrollment. The only slight problem is I have to enroll my card with Uber but it won’t let me use my email and cell phone number since they are associated with my other account. Hopefully, I can use a second email address and a home phone number to enroll the card and then I will add the card in the Uber app and the credits should appear. Makes me wonder if I could apply for the PRG (since I don’t have it anymore) and then keep upgrading it….But I’m not trying to fly too close to the sun. Good catch on finding out you can upgrade your card. Awesome data point! Thank you for playing guinea pig. Were you offered a Membership Rewards welcome bonus with minimum spend? I’m looking forward to one year from now when I can upgrade my PRG. No offer. I looked on other websites and didn’t see any current offers going around to upgrade to Platinum so I went for it. I’m curious if I would be able to add my Platinum back to my original online account but I don’t want to risk the airline/UBER/Saks credit being taken away. It’s also nice that it keeps the same number as my previous card and doesn’t count as opening a new account. 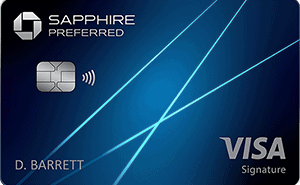 I’ll be elligble to apply for the Sapphire Preferred in February based on the 5/24 rule and opening another card would have delayed my efforts. Also, don’t know if you’ve seen the AMEX Hilton Aspire card but it would be another awesome card for military members. Additionally, how do you drop a card from its current login and give it a new login. Do I go the “Remove a card account” and select the PRG. Then create a new online account and register the PRG as a new card on that account? Thanks! Yes, that should be the procedure. Please try and let us know how it goes! I created a separate online account when I got the PRG, so I don’t have personal experience with this method. Is there any kind of associated bonus to upgrade from the PRG to the Platinum? I am currently deployed and wouldn’t be able to reach the spend minimum. However if there is no bonus then I would like to take advantage of the airline credit before the year ends. Great questions, I will investigate and get some answers.